It didn't take long for the apparent confirmation. A matter of an hour or so. On the first morning of the opening pre-season test in Jerez while all others did a few first tentative steps (and some didn't even do that) the new Mercedes W06 sprinted from the blocks. Immediately from the get-go of on-track running it functioned like a watch and racked up the mileage, doing 80 laps on the first morning when all others combined managed only slightly more in 96. It all left its rivals stunned. And represented confirmation as if it was required that as far as the Brackley lot are concerned there will be no relent; Mercedes in 2015 will be a lot like Mercedes in 2014. And wasn't caring to conceal the fact. Of course Mercedes starts this particular race with an advantage. Its launch-off point of last year's car already is towering, and with only modest regulation changes in the meantime it should count for a lot this year too. Various things - Mercedes starting off as way ahead in the energy recovery game; giving more time, resource and attention apparently to the new formula; a vital innovation in the power unit layout which as the works supplier it was best placed to benefit from - all came together to send the W05 into the most virtuous of circles last season. It was on another level. 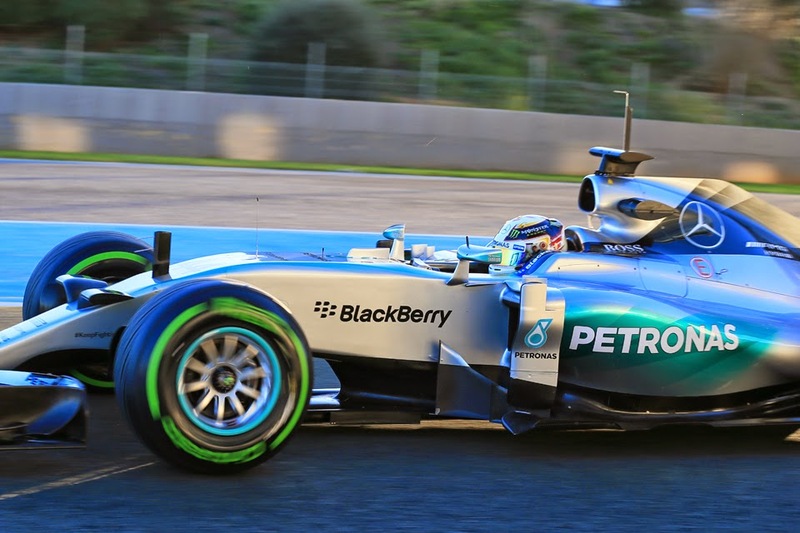 Therefore that the Merc in Jerez demonstrated that it probably will be the team to beat in 2015 surprised no one, but the close to immaculate running still managed to be noteworthy. It exasperated that a lot like 12 months ago, and even though the regulations broadly have had that length of time in which to settle, Mercedes yet again look half a lap ahead in preparations barely before things have begun. Come the end of the four days things continued in much the same fashion. Jerez's running from those in silver had a lot of the swagger and audacity of Red Bull in its pomp. Problems were few, amounting to a water leak and a spin. On the first day the team even was practising pit stops. Come the end the W06 had upwards of 600km more on its clock than the next team; even more so than the cars that may be presumed its nearest rivals. While it's worth reflecting that mileage doesn't necessarily equal speed, it does indicate a strong attention to detail that reflects well on the team - and its car most probably - more generally. And a reliable car is easier to develop competitively. Sebastian Vettel looking in from the outside admitted indeed that mileage is the main aim at that stage. It's worth reflecting too what was by far the closest the Merc had to a weakness last season. Yep, reliability. 'We need to nail it this year, and we're on the right track' said Nico Rosberg on the very matter before the test was out. Yes, the silver cars didn't top the headline times, or even come especially close, but the best evidence is that they weren't trying to. Post-test analyses indeed suggested they were not chasing single flying laps in the way that Ferrari and Sauber appeared to be; the runs tended to be longer, something that indeed Lewis Hamilton confirmed. They revealed also that the Merc-powered machines were the quickest through the speed traps. Trackside observers reckoned the W06 was visibly superior to any other too. Both drivers quietly beamed at it all. Many of its rivals look indeed like they've made a forward step, which we would expect after an initial year with a new formula in which a single car swept the board, as the rest behind have steeper learning curves and can learn from what made the Merc strong and imitate accordingly. But you'll struggle to find many who left southern Spain thinking that the championship will be ultimately anything other than a private affair for those bedecked in silver. Another thing that's a lot like 12 months ago. 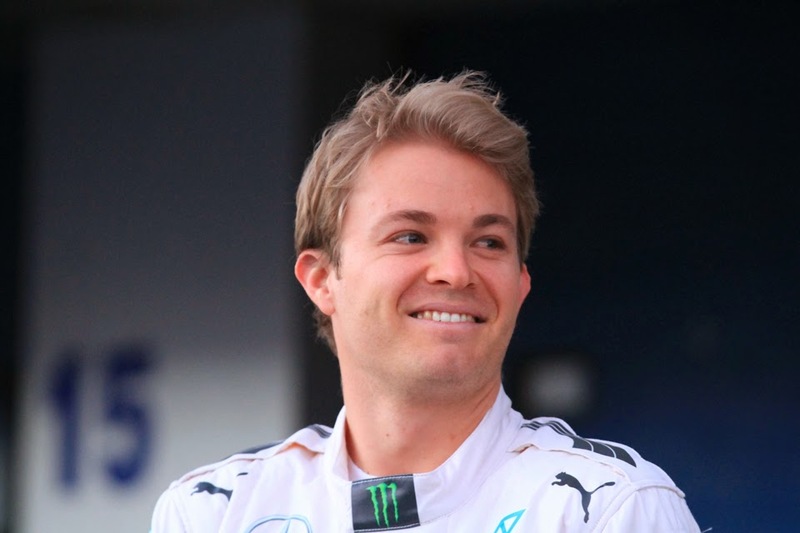 Is any driver in modern F1 as much of an enigma as Nico Rosberg? It may strike as an odd thing to say, and what with his recent front-running we've had a lot more clarity on him than once was the case. Yet even eight Grand Prix wins and a season in which he led the table for much of the way later, we still don't have a precise sense of where he fits. Arguably no other contemporary pilot elicits so much debate as to his strength and weaknesses. Perhaps part of the problem is that Nico keeps confounding us. Ever since Lewis Hamilton signed his Mercedes contract he was supposed to establish a comfortable upper hand, but Nico's never allowed that to happen. Not properly anyway. Adding to the confusion, last year too the lay of the competitive land between the Merc pair was close to an exact opposite of what had been anticipated. Lewis was supposed to have more of the raw pace, and Nico's best avenue to succeed was meant to be via using his brain power and stealth to get better race day results. And yet... Nico, astonishingly, had the wood on his team mate on single lap pace in qualifying, getting ahead 12 times to seven. But on Sundays Lewis almost always looked the more convincing, perhaps showing more flair when other cars were around and a greater ability to improvise more generally. There wasn't often that much to choose on using the loaf either. Nico however is clever enough to know this, and indeed in his post Abu Dhabi interviews immediately after the season ended he already was talking of precisely where he needed to improve: 'I need to work on the racing a little bit ...and I am going to find that bit'. While in Jerez he continued the theme, listing among his many challenges to prevail: 'the challenge of improving myself because that's what I need to do to beat Lewis'. He insisted too that on the Monday after the Abu Dhabi race his focus on the 2015 ahead rather than on missing out in 2014 was 'full on'. Furthermore Nico's 2014 year should not be decried. As mentioned his raw pace was stunning while above and beyond that he ceded very little to his team mate in anything and took the title to the wire. On occasion he was genuinely brilliant too, not least in Canada in his nursing of a seriously hobbled car very nearly to the win that some said made him deserving of the title on the basis of that run alone. The wisdom of a few is that Nico's missed his chance; this is the year that Lewis finally will establish a comfortable advantage on him. But then again and as intimated that was supposed to happen last year. And the year before. As I said Nico's an enigma. It's tempting to think that, if we start the 2015 season finding it hard to see how Mercedes can be toppled in the battle of constructors, Lewis Hamilton has similar status in the battle of drivers. 'His level? He is possessed of a natural talent beyond the norm even of a top F1 driver, is extravagantly gifted in the way only a handful of drivers have ever been.' When Mark Hughes said these words towards the end of last season you feel there was only contemporary pilot he could have been referring to. Lewis's 'natural talent' has long been beyond question, as has his scintillating speed, Nigel Mansell-esque frightening commitment and desperate will to prevail. And more to the point those attributes are allied this season to what likely will be the best car, and at a team where his feet are firmly under the table. And, oh yeah, he's got the assurance of just adding a second world championship to his collection. Furthermore looking for weaknesses in his armoury elsewhere is more difficult than it once was. For all of the expectation last year that his cerebral team mate would have the wood on him in understanding the new complex cars and in eking out tyres and fuel use, there in fact was almost nothing to choose on any of these. Indeed you could make a case that Lewis was superior. He's much more of an effective team player than his detractors have it also. Even his tendency to engage heart before he engages head seems to have a lid kept on it these days, though you could argue that his reaction last campaign to Monaco qualifying and that, which came before a run of difficult qualifying sessions, suggests that it still lingers in there somewhere. And on a related point if Lewis got on top of his team mate last season in aspects where not everyone expected him to, it was also so that the main area where he fell short was the one perhaps that would have been the last you'd pick. 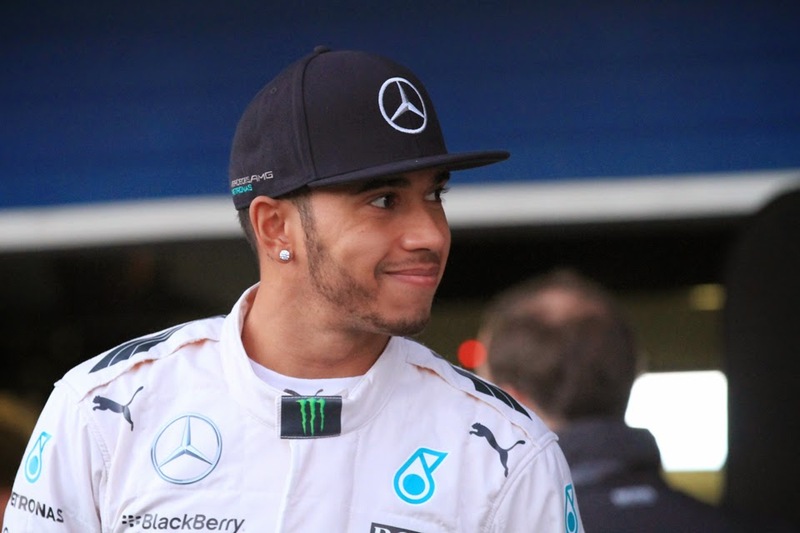 Frequently Lewis didn't quite get it right in the final, vital, efforts of qualifying. His feel for the brakes, once his trump card, while certainly improved on 2013 never seemed entirely right. Yet it still feels a little like slim pickings. Lewis ended 2014 not merely as a multiple world champion but looking a lot like the most content and rounded performer that we'd ever seen from him in F1. Certainly since his debut campaign in 2007. And from his comments since it's clear that he's hungry for more. Rightly he starts this season as clear favourite for the championship crown.